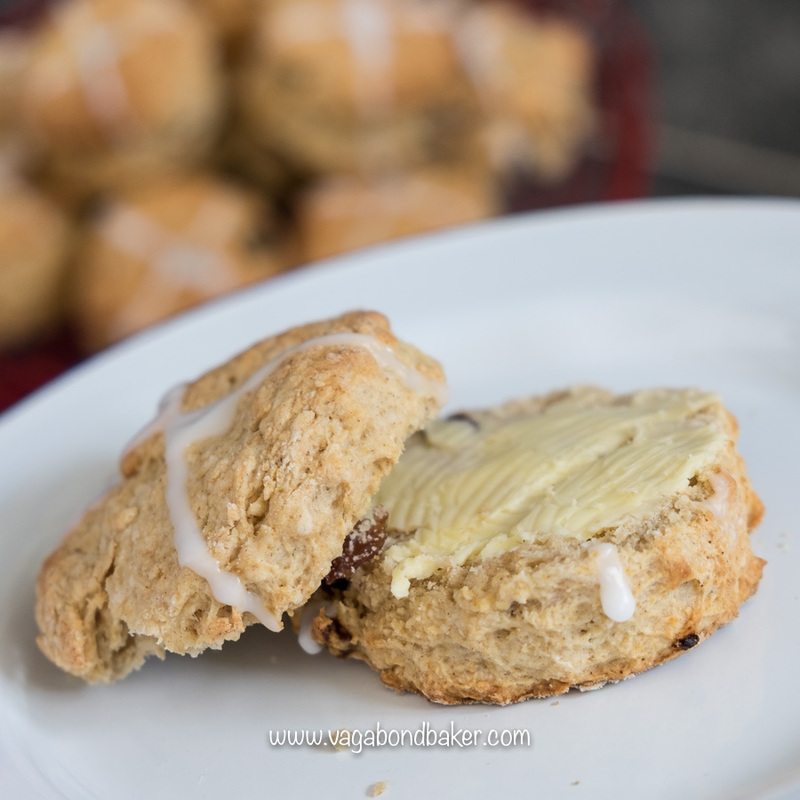 These Hot Cross Scones are a speedy alternative to baking the real thing, yet they have all the familiar spice and flavours you want from a Hot Cross Bun. 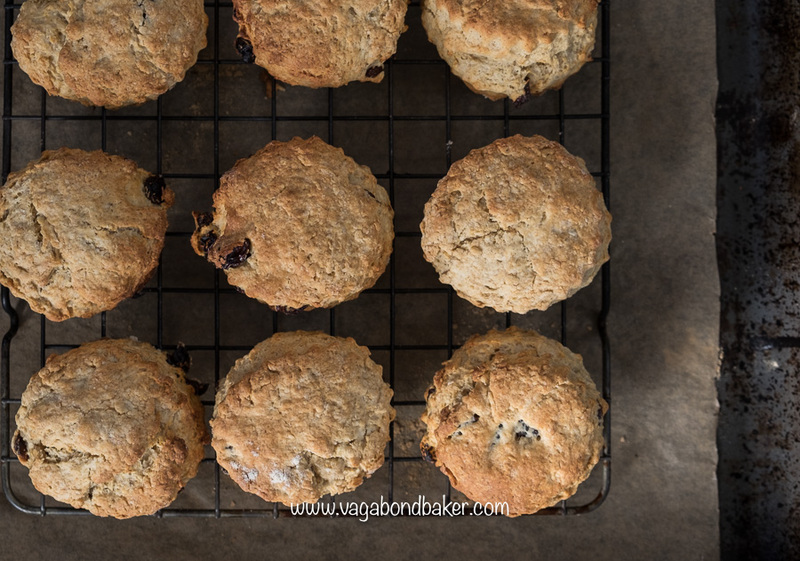 Heady with spices and studded with sultanas, these scones simply need a generous spread of butter. Pop the kettle on, make a cuppa and devour this home-baked Easter treat. I’ve simply iced a cross on these scones, for the photos – they are Hot Cross Scones after all – but they don’t really need it to be honest. I just wanted to make them look more festive! 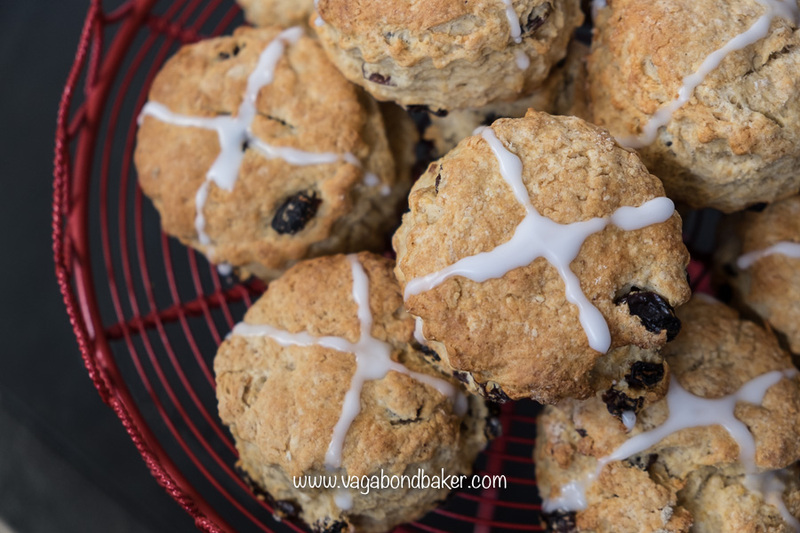 They were a bit of baking inspiration for me over the weekend, I really wanted to make some hot cross buns but I was limited with time so I whipped these up before Sunday dinner, making the most of the hot oven. I had made a trial batch the day before, experimenting with spelt flour, but they didn’t rise very well. I loved the flavours however, so I switched back to an all-white flour batch and they were perfect. They do look a wee bit wholemeal-ly but that’s down to the spices and the light muscovado sugar I’ve sweetened them with. 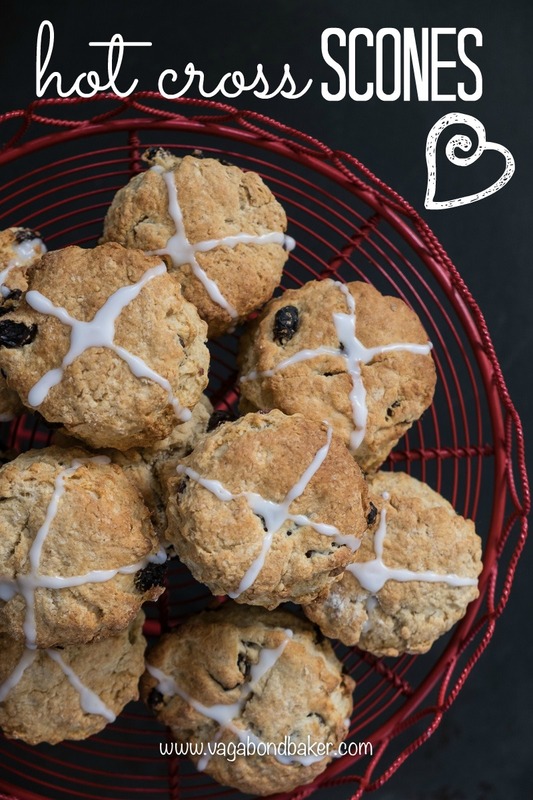 If you wanted to make the crosses a little more permanent then you could lay little thin strips of shortcrust pastry over the scones before you baked them. I wanted a quick bake so I iced them after they had cooled. Totally up to you! Preheat oven to 220ºC / 424ºF / gas 7. Sift the self-raising flour, baking powder, salt and mixed spice into a large mixing bowl. Add the cubed butter and rub to crumbs with your fingertips. Alternatively, pulse together in a food processor. Stir in the light muscovado sugar and the sultanas. Add most of the milk (you may not need all of it, you may need a spot more) and cut it into the mixture using a table knife, then switch to your hands to bring the dough together. 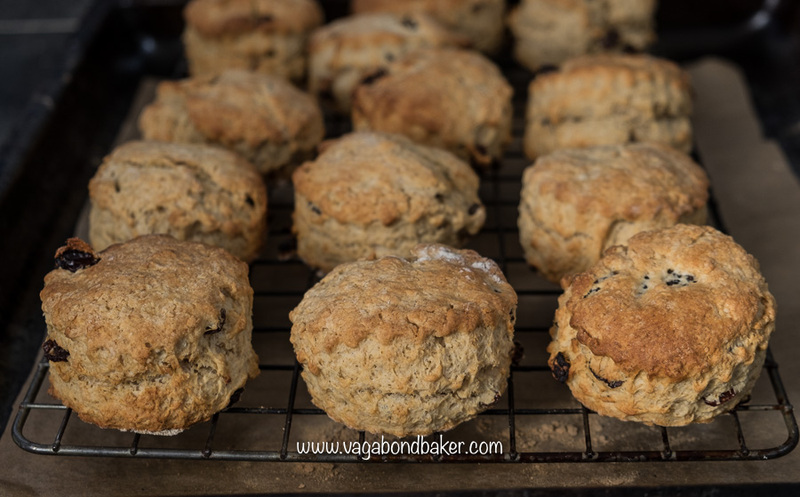 As with all scones, try not to over work the dough. Roll out on a lightly floured work surface to 2 cm thick. Use a 6 cm fluted cutter to stamp out the scones. Don’t twist the cutter in the dough or you’ll end up with a lopsided scone. 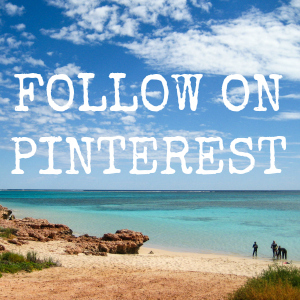 Transfer to a baking sheet and bake for around 12 minutes in the preheated oven until risen and golden. Ice once cool if needed: mix icing sugar with a little splash of cold water or lemon juice to make icing thick enough to drizzle crosses over the scones. Serve with butter and eat fresh. Hot Cross Bun Crown. A plaited crown of spiced fruited bread, a perfect Easter centerpiece. Simnel Cupcakes. Light fruit cupcakes filled with hidden marzipan and topped with 11 little marzipan balls. Oaty Easter Cookies. A simple oat cookie studded with mini eggs. Hot Cross Buns The real thing, and oh so much better than buying them from the supermarket! Cheese and Onion Super Scones a delicious savoury scone, perfect for picnics! Are you tempted with these scones? How would you serve them? Thanks Kylie! The spices and brown sugar add a lovely taste, enjoy baking and eating them!